Apple's Rumored iWatch: Potential Disruption or High Priced Accessory? Rumors surrounding Apple's foray into smartwatches have intensified in recent days (let's call it an iWatch for now). The device is said to sport a 1.5 inch display, made of Corning's curved, Willow glass. Numerous analysts have already claimed that this is Apple's next big disruption. Let's take a look at the product choices Apple faces and the disruptive potential of those choices. Let me start out by stating that Apple is not the first to enter this space. 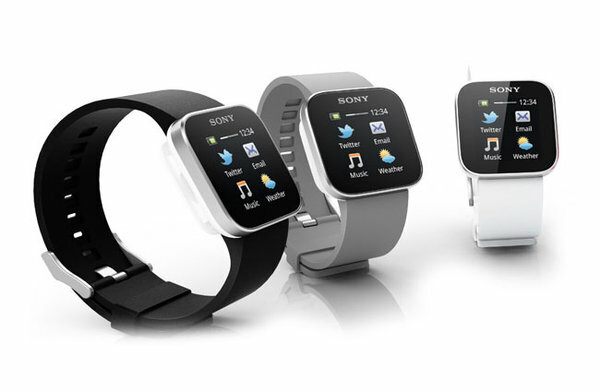 There have been numerous products that have attempted to integrate with iOS and Android (Pebble, Sony's SmartWatch, etc.). These products weren't really disruptive innovations because they extended the functionality of smartphones, i.e. they were accessories. It's impossible for a product complementary and disruptive to a product category at the same time. The most obvious move would be to position the iWatch as a companion that can extend the functionality of an iPhone/iPad - with easy access the device's notification center (messages, calendar, reminders, etc.) and in-built Siri functionality. The short-term problem with this move is that it limits the potential market for the product to iPhone/iPad users (primarily in developed markets). The long-term problem with this move is that it really does nothing to address Apple's long-term growth needs. The iWatch is likely to be a lower value product, and even a rapid ramp up is unlikely to provide a big boost to revenues. Also, the product will be seen as a high-priced accessory by consumers, and something that can easily be emulated by competitors. As I stated above, this wouldn't be a disruptive product. This would be a more difficult move, but one with more disruptive potential. If Apple's goal is to launch a product with disruptive potential, it has to be positioned as a potential replacement for a low-end smartphone purchase (if not low-end smartphone usage), i.e. the message to the buyer would be that he could get more bang for his buck by holding on to his old phone and buying the iWatch (similar to the impact of tablets on PC purchases). Even with a barebones feature set, this strategy has potential to disrupt the low-end smartphone market, especially in emerging markets (assuming an iWatch is priced below $200). Of course, the challenges here are far more significant - primarily design & engineering related. At this stage, the battery power backup for an iWatch sized product would be very limited. Even if it was powered by kinetic energy, it may be nearly impossible to support an on-board GSM radio. The iWatch would need access to the internet and standalone applications. A 1.5 inch screen would provide a sub-par experience with apps and browsing, and it may be next to impossible to use the touchscreen for navigation or input. This leaves Siri as the primary input method, which may not be reliable enough at this stage. While I won't question Apple's expertise, these are significant challenges for any company. I don't think Apple will be able to launch the device as an accessory and then transition it to a standalone device either. The problems that need to be solved are likely to be vastly different in both cases. Efforts to improve the product's experience as an accessory (for immediate markets) are likely to take away bandwidth from efforts to improve the product's standalone features. In addition to this, Samsung's work with flexible displays and Google glasses are likely to produce significant disruptive threats that will be difficult to tackle during this product transition. If Apple does launch the iWatch, their product choices may tell us a lot about their long-term strategy. Do they want to remain focused on the high-end market or diversify to lower segments? I dislike wearing watches but I'm beginning to get it. Add up the possible medical functions that require wristbands. Add the exercise features already using wrist sensors. Cue Nike. Input using a localized Siri for timers and reminders. Put on a big red emergency alert button for folks who fall down stairs. Do location monitoring for folks who need that. Inside, it will have some superb, souped up technology from those Apple tech labs. It's not a watch. Others have/will do watches. Apple wouldn't do a watch. It does multiple market disruption. Also, it solves problems: in this case, aggravating health functions focusing on wrist sensors. And Apple loves the engineering and design challenges of small and simple computers. Nobody does small and simple better. At $200 it will sell a milliard units. OK, $199. Disruption of multiple markets implies there are multiple markets significant enough to be disrupted by the functions targeted by a product. That description does not fit the use cases cited. That's not to say it won't have the stated features. But that does not necessarily make the product disruptive, not does it make those markets more attractive. It's all in the wrist. If we play this out a few years, a wrist monitor could have excercise, health, medical, and even insurance implications. That a pretty big chunk and could interest Apple. That's certainly possible and it meets the non-consumption criteria. I'm just unsure of the scale of that need, especially when all those inputs would need to be used to provide an output that may require human interaction. Other than disrupting the auto industry, it's devices like this that can feed and strengthen the Apple ecosystem. That's kind of the problem Apple finds itself in. Apple is still basically a two product company (from a revenue, not platform, standpoint). So to continue growing, it needs to disrupt more markets. A product like that kind of limits your market to existing Apple users. While that will certainly build loyalty and platform "stickiness", you still have massive untapped, emerging markets that are currently dominated by competition. Even if Apple can move a million iWatches a quarter, that's an incremental revenue of $100-$200 million - not a whole lot for a company like Apple. That's business for you. I once help double the size of the company I worked for; the business manager's single question was how soon we could do it again. That's the price of success, especially on Wall Street.